Nobody likes cold feet, whether it's because of the weather outside or a natural disposition. 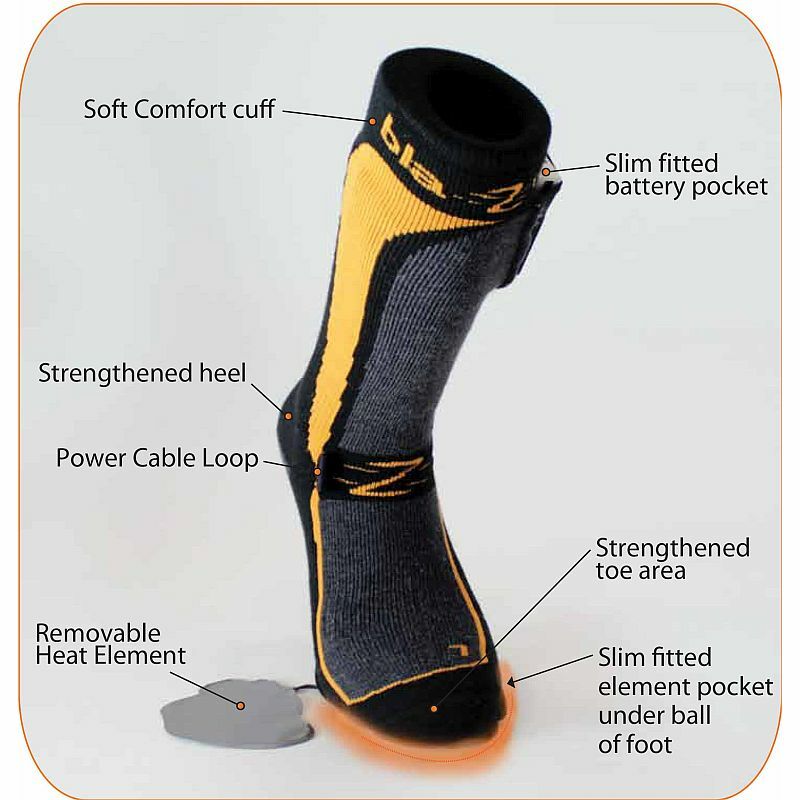 The Blazewear Heated Socks provide an easy solution to this problem, heating the base of the foot with its removable heating element to give you warmth and comfort in a durable and long lasting package. This pair of heated socks won't fade away any time soon, as it's built to last with quality stretch fabric. Featuring a strengthened heel pad and toe area, these socks will allow you to enjoy comfort and warmth for as long as you need. A slim fitted element pocket under the ball of your foot makes the element undetectable, and a slim fitted battery pocket helps to eliminate bulk ensures that these won't just be your warmest socks; they'll also be your most comfortable. 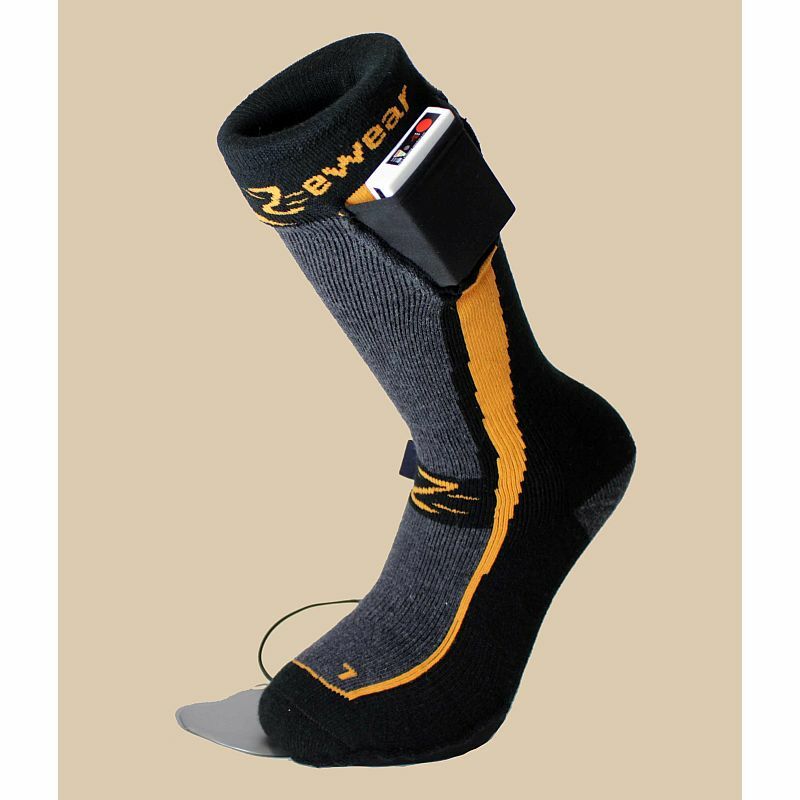 To finish off, Blazewear has added a soft comfort cuff to ensure these socks won't disappoint in any capacity.